Asset Protection Planning is not hiding assets or planning to perpetrate a fraud on your creditors. It is designed to work with full disclosure to your creditors. It is intended to be a professional, ethical and legal means to decrease the likelihood that your assets could be placed at risk of loss. Asset Protection Planning relies on the laws of Indiana, other states, the United States and sometimes foreign jurisdictions to lawfully provide these protections. And it is also a part of your overall integrated estate plan. Asset Protection Planning is generally tax neutral, meaning that when properly implemented it will neither save nor cost you income taxes. Regardless what you may have heard or read, no Asset Protection Plan is foolproof, and it is unlikely to protect all of your assets from every type of risk. Instead, each technique offers varying degrees of protection. What a good Asset Protection Plan does is provide you with significantly more protection than you had before you created a plan. Asset Protection Planning is often accomplished by transferring assets from a less protected form of ownership to a more protected form of ownership. As a common example, business owners and investors typically own businesses and property through corporations or limited liability companies offering limited liability to the owner, thus protecting the owner from the liabilities of the entity. Asset Protection Planning is a vaccine, not a cure. In other words, in order for most types of Asset Protection Planning to work, the plan must be implemented before a creditor asserts a claim against you. Once a creditor asserts a claim against you, it is generally too late to implement an Asset Protection Plan. It is also essential to remember that a generic off-the-shelf solution rarely works, and often do more harm than good. Instead, the plan should be custom designed to integrate into your business, investments and other circumstances. If you are interested in learning more about how Asset Protection Planning could benefit you and your family, please do not hesitate to contact Dennis Voelkel, Esq. 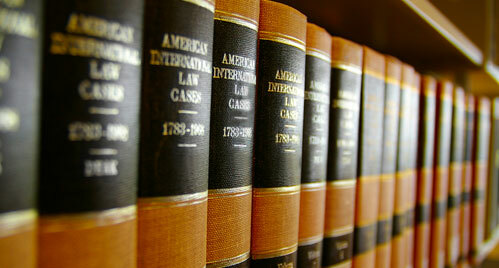 at voelkel@indiana-attorneys.com.